After Vorkuta: Why are Russian mines so dangerous? 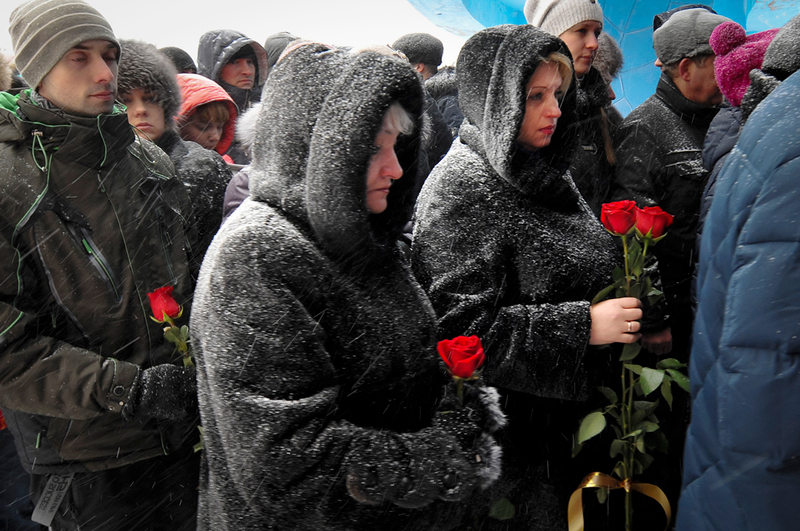 People queue to pay last respects to Vitaly Lavrov, one of the dead miners, during a funeral in Vorkuta, Feb. 29, 2016. 36 people have died at a coal mine where a methane gas leak triggered three explosions and the collapse of the mine. A total of 36 people have died as a result of an explosion in the Severnaya mine in the northern Russian city of Vorkuta. The tragedy has once again raised the issue of safety in Russia's mining industry. Two explosions took place on Feb. 25 at a depth of 748 meters in the Severnaya mine in Vorkuta (1,200 miles northeast of Moscow). Out of the 111 people who were underground at the time of the accident 30 died. The others were able to make it to the surface. On Feb. 28, while search operations were being conducted, a third explosion took the lives of six people, causing a halt to the search operations. The bodies of 26 miners are still awaiting recovery under the rubble. This is far from the first accident to have occurred in Russian mines in recent years (see box). Often they occur due to the collapse of rocks, fires and floods. However, the most tragic cases are related to explosions of methane and coal dust mixtures, which happen because of safety norm violations, said Alexander Sergeyev, head of the Independent Mineworker Union of Russia. In 2013, a violation of the ventilation system in the Vorkutinskaya mine led to an accumulation of coal gas and methane, which resulted in an explosion that killed 19 people. Dec. 1, 1997 - accident at the Zyryanovskya mine (Novokuznetsk, Kemerovo Region); 67 deaths. Cause: methane explosion. Jan. 18, 1998 - explosion at the Tsentralnaya mine (Vorkuta, Komi Republic); 27 deaths. Cause: methane explosion. April 10, 2004 - accident at the Taizhina mine (Osinniki, Kemerovo Region); 47 deaths. Cause: methane explosion. March 19, 2007 - accident at the Ulyanovskaya mine (Kemerovo Region); 110 deaths. Cause: methane explosion due to violation of safety rules during mining operations. May 8-9, 2010 - accident at the Raspadskaya mine (Kemerovo Region); 91 deaths. Cause: violation of dust regulations, lack of checks on signs of spontaneous heating of coal and unstable electric power supply. Feb. 11, 2013 - accident at the Vorkutinskaya mine (Vorkuta, Komi Republic); 19 deaths. Reason: violation of safety rules. Often accidents in Russian mines occur because of human interference in the automatic gas control system. As an example Sergeyev cited the biggest accident in the history of modern Russia, at the Ulyanovskaya mine in 2007. The director had ordered for the gas control counter to be altered so that the mine would not be closed due to a violation of the coal gas norms. Consequently, 110 people died. According to a preliminary theory, the accident at the Severnaya mine bears "a natural character and is a mining and geological case." But Alexander Sergeyev is not convinced and believes the accident took place also because of violations of safety norms. "It is not right to say that natural causes were responsible for the accident. It means admitting your unprofessionalism. The Severnaya mine contained the GITS seismic monitoring system," said Sergeyev. Why do miners ignore the dangers? Darya Tryasoi, daughter of one of the miners who died in the Severnaya mine in Vorkuta, wrote in social networks that three weeks before the tragedy her father had complained of an excessive level of methane concentration in the mine. "Often miners intentionally assume the risk," said a miner who asked to remain anonymous. "Our salaries depend on output. That is why we often turn a blind eye to the insignificant safety violations, so that we don't lose working days on various checks. We have to feed our families, pay our mortgages, survive." And yet the number of accidents in Russian mines is generally decreasing. While in 2004 there were 33 accidents that took 148 lives, by 2014 the number had declined to 8, with 26 deaths. However, the figures are still far higher than in many other countries (see box). According to Sergeyev, in order to reduce accidents in Russian mines it is necessary to regularly conduct preventive operations. In his view, if timely preventive measures had been carried out at the Severnaya mine, which belongs to the category of mines with high risks of rock bursts and sudden methane explosions, the tragedy would have been avoided. Every year around 20,000 people fall victim to mining disasters. No country comes close to China in terms of the numbers of mining accidents and miner deaths. In 2015 alone more than 900 people lost their lives in Chinese mines. Mining disasters also frequently take place in India, Turkey, Russia and Ukraine. The world’s last large-scale mining disaster happened at a mine in the Turkish city of Soma in May 2014, in which 301 miners perished. The last significant mining accident in the United States occurred in April 2010 at a mine operated by the company Massey Energy in West Virginia, resulting in the deaths of 29. In the UK there have been no mining disasters in the last few decades.